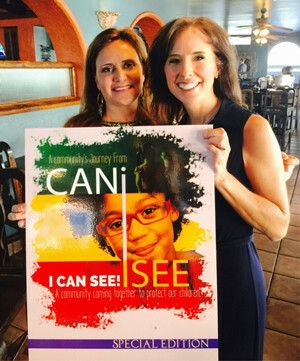 Ionela Badescu would like you to see A Community's Journey to I CAN SEE! A Community's Journey to I CAN SEE! Alice Linahan hasn't added a story. For All of America is at Stake. I am excited to announce the Pre-Sale of the Limited Edition of my new book and lecture series has been launched! 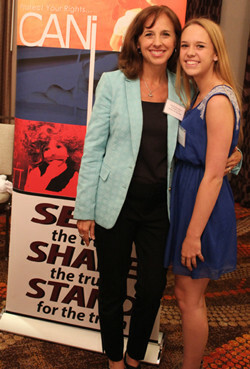 We were excited to unveil the cover last week at a Stop Common Core event in Houston, Texas. I am preparing to travel throughout Texas and other parts of the country to share with parents, grandparents, taxpayers, teachers and political officials; the dangers of the 21st Century Common Core/Workforce Development philosophy of education. We are teaming up with ThroughPeople, a publishing and distribution company that uses the most powerful medium of distribution known to man... PEOPLE. Living in today's polarized society combined with the dangers of the progressive agenda, I am thankful that ThroughPeople has taken up this important issue. If we do nothing, this issue can and will change the narrative as we know it for the education of our children - for the worse. Join me throughout Texas on the ThroughPeople Bus, as we inform parents, grandparents and students of the dangers of Common Core! Your support will enable me to take this message to parents, grandparents, taxpayers, churches, groups, and organizations who will SEEK the Facts - SHARE the Facts and STAND UP for the FACTS to protect our children. We will live-stream, provide literature and distribute my upcoming book. Please read the information below and then take action to support me, as I take on what is not only a threat to our core beliefs but also to the security of our nation. In America, we have a history of great prosperity and innovation, because we value an Education of Opportunity (Equal Opportunity) based on an individual's freedom and ability to achieve great things. When a child has a solid foundation and can read, write, do math and knows history, as an adult that individual is free to succeed, and, free to fail, and then learn from that failure and go on to do great things. Moms and Dads, we need to step back and start asking “ourselves” some questions……. When we send our children into schools across America; all schools, public, private and charter, are they getting what they really need academically? 1. If our children graduate from high school or college with attitudes, values, beliefs, behaviors and a worldview that we oppose and we know it is because their teachers believe it is their responsibility to be the devil’s advocate and teach our children to question and even oppose the traditional, foundational beliefs of our family, our country and our religious beliefs; is that really a solid academic education that will serve our children and their future well? 2. Is our child being exposed and immersed in other languages and cultures more important than protecting America’s history by allowing the facts about generations of American’s sacrifices and their stories to be told and learned by the next generation of American children? 3. If your child graduates from college, gets a great high paying job but no longer respects, much less believes, they are worthy of a free and prosperous country, a strong marriage and that by the Grace of God anything is possible; have we done our best to give our children a strong foundation for a happy, joy filled life? This interactive 6 week study of Radical Education Reform will take parents, grandparents and taxpayers on a journey to understand what is happening in their own community schools, public, private and charter via 21st Century- College and Career Ready/ Common Core progressive teaching strategies. In America we have shifted from a Kindergarden-12th grade system of education to what is known as a P-20 W (Pre-School through the workforce) education of Equity (Equal Outcomes), which will result in a lose of freedom, liberty and opportunity for the next generation of individual citizens. They will be seen as "Human Capital" for the government. This globally coordinated effort is about equalizing and controlling the economy of the United States and the citizens of America. You are no longer that boy from Amarillo, Texas who was a baseball star or in the band. You are now a global citizen. Not an AMERICAN. American children are no longer to believe they are American's living in a Global world, they are Global Citizen's living in America. The US Constitution becomes Null and Void. What is happening today is a Revolution through education. 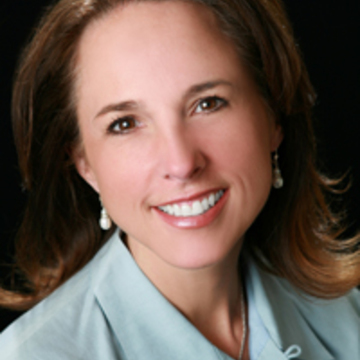 Alice Linahan is a Politically-Active Texas Mom who has worked hard in the trenches of the Grassroots Movement to expose the facts behind the fundamental transformation in education. Alice brings audiences a servant’s voice with a heartfelt, and funny tone and when truth needs to be told in a bold fresh manner, Alice can deliver. 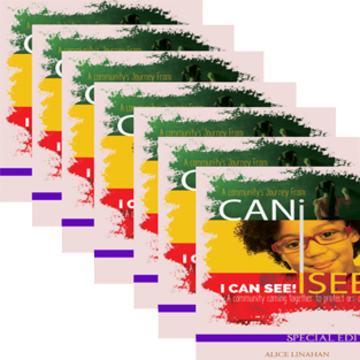 She brings alive the stories from the trenches of the movement of parents asking... #CANiSEE what you are teaching my child that is taking America by storm. Now it is your turn to act. Select "your perk" and please share with your Facebook, LinkedIn and Twitter community! Alice Linahan hasn't posted any updates yet. 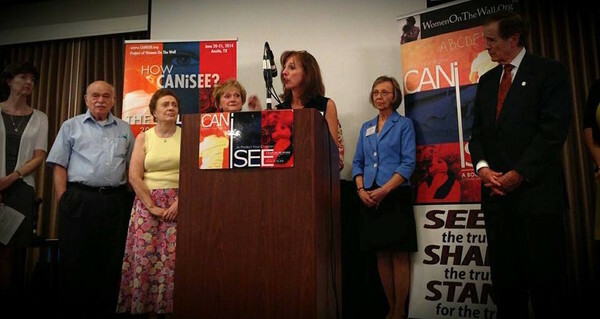 Lend your voice and your car for a #CanISee bumper sticker to tell people we need to pay attention to what is going on, while you perk their interest to go online and learn more. When you wear a message, it's personal and people take it seriously. 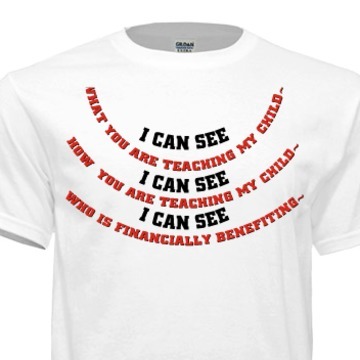 This T-Shirt will spark conversation, debate and an open door for the solutions that I Can See offers. People in your neighborhood need to be informed as to what is happening in your local schools, all schools, public, private and charter. 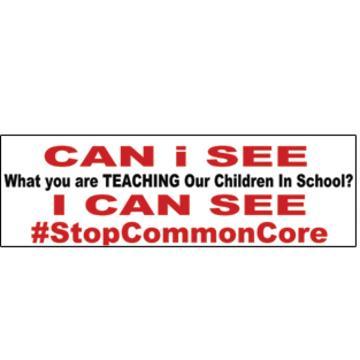 We're sending you a yard sign that will create curiosity, and then conversation, in order to inform people as to what Common Core really is and how it is flooding into our schools, all schools. 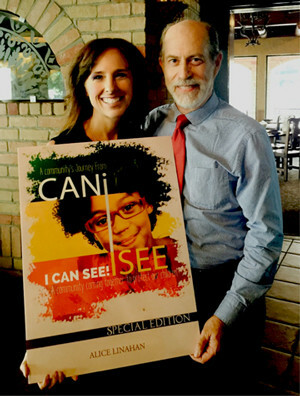 As Alice Linahan dedicates her life to this project, she has finally created an exceptional book and lecture series “A Community’s Journey from #CANiSEE to I CAN SEE” that will take parents, grandparents, educators and our political leaders on a journey as to what is happening to our children in schools throughout America. Your gift will secure you an autographed, limited edition of this work while enabling her to take this message throughout America with the Through People Continual Bus Tour. In order to stop the intrusion of the state and federal government in our children’s education we must SEEK the FACTS, SHARE the FACTS and STAND-UP for the FACTS. This toolbox will give you what you need, to do just that, including a Bumper Sticker, Yard Sign, T-Shirt and Book. Enjoy a once in a life time event with Alice Linahan and her closest friends for a personal dinner at an undisclosed location. 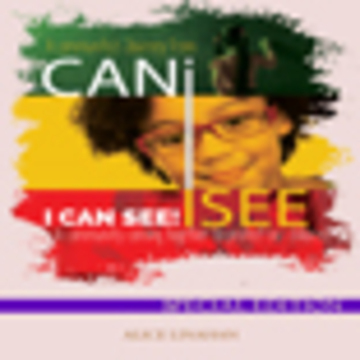 You'll meet the author, the publisher, and other special guests, and even enjoy a live band playing, as we prepare to take “Can I See” throughout the country via book, video and tour. 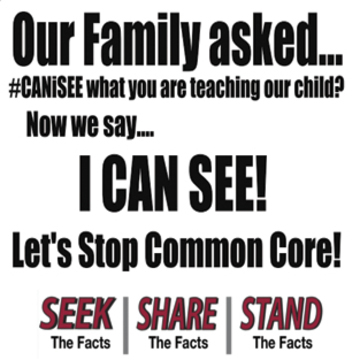 Alice will come and train you and your team to clearly understand what Common Core is and how to effectively defeat it. 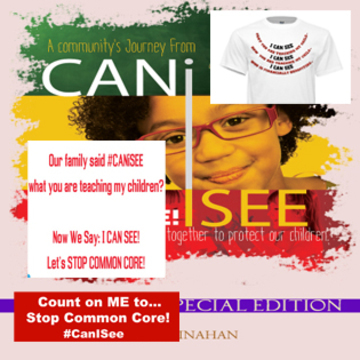 In this private full day session your guest leave equipped with the knowledge necessary to confront common core in their community and schools. You will receive a case of autographed books to the persons of your choice. Approximately 25 books in a case! 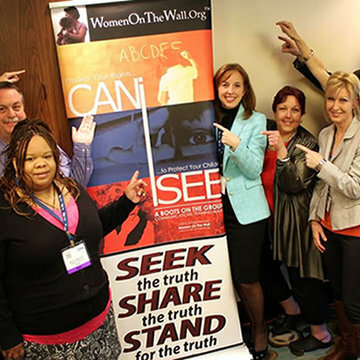 2 days with Alice on the book tour! 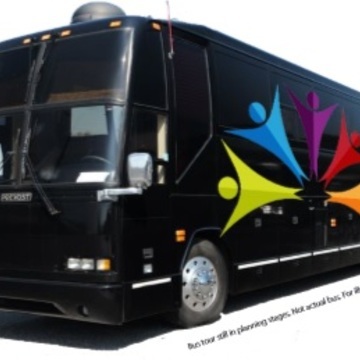 You and a guest will join Alice as she tours with the Through People Bus around America. With stops ranging from rally's, restaurants, churches and even kitchen tables, you will enjoy a close up and personal experience of Alice taking this message throughout America. This will be an unforgettable experience as we load upon the official bus of Through People. Keep in mind however, you'll be hanging out with other authors, musicians, poets and just, all around, fantastic people who are concerned about their families, faith and their nation. Alice Linahan is managing the funds for this campaign. The campaign is for a personal cause.